Quick and easy long lasting protection. SONAX Paint Protection Package includes one of the industry’s quickest applying paint protection products. SONAX Polymer Net Shield was manufactured in an aerosol can so the product inside wasn’t exposed to the outside environment during use. Since the SONAX Polymer Net Shield starts to cross-link and harden as soon as they are exposed to air, SONAX came up with a way for the unused products to remain as they were. This makes applying SONAX Polymer Net shield quickly and efficiently. SONAX Paint Protection Package also includes three Buff and Gloss Towels to buff your freshly applied SONAX Polymer Net Shield and leave an enhanced shine. The towels’ super soft, medium length nap makes for the perfect spray on type product application and removal. SONAX Paint Protection Package gives you the protection you want, without the hassle. Sonax Polymer Net Shield is a cutting-edge aerosol-based spray sealant that takes minutes to apply and lasts up to six months! Sonax Polymer Net Shield is formulated using advanced German technology to provide a level of paint protection that used to be exclusive to liquid paint sealants. Sonax Polymer Net Shield takes just minutes to apply and your paint will explode with color and depth like you’ve never seen before! 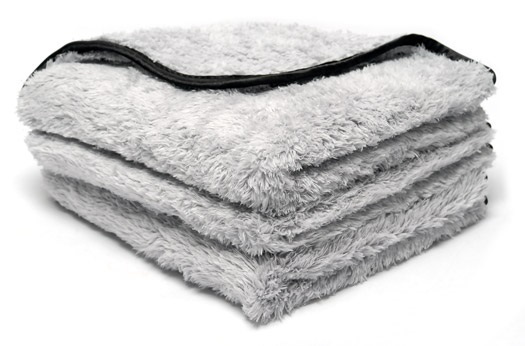 The Buff & Gloss Spray Wax Towel is a super soft, medium-nap microfiber towel that was designed to be used with your favorite spray wax. Featuring a scratch-free silk border and loop-less microfiber pile, the Buff & Gloss Spray Wax Towel makes application of spray waxes and spray sealants easier than ever. This premium microfiber towel reduces or eliminates the common causes of streaking and hazing that some spray waxes and spray sealants commonly display. A total retail value of $52.98. Save $17.99! McKee's 37 Paint Coating Bundle - New Formula! This was my first experience with Sonax Polymer Net Shield and I am very pleased. Easy to apply and beads water like crazy. Will have to see how long it holds up but my initial impression is great! Easy to apply. Towels are good quality. Goes on very easily and buffs off as easily as well. Helps create an out of this world shine! I maintain this sealant by using Sonax Brilliant Shine Detailer on following maintenance washes. Seems to work very well. Like its actually doing something . Goes on and wipes off but seems to adhere to the paint better than wax. Also bugs clean off very easily. Goes on easy. Leaves a long lasting smooth finish. Almost looks like glass when finished. My new way to wax protect my paint.